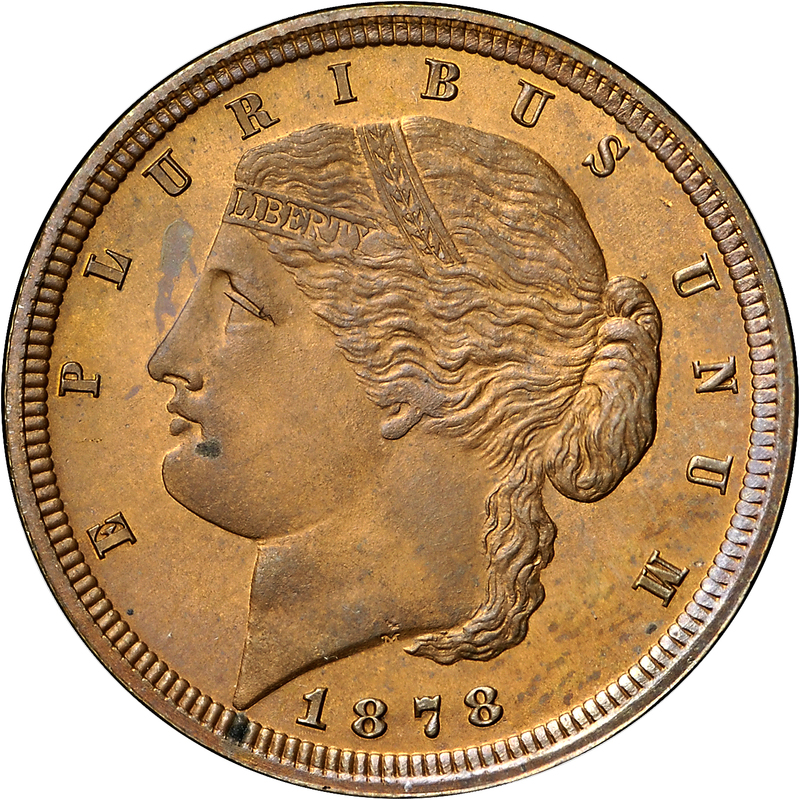 This Liberty Head obverse was designed by George T. Morgan, and is signed via an incused M on the neck truncation. Harry Bass had acquired two examples of this pattern issue, the other gilded. 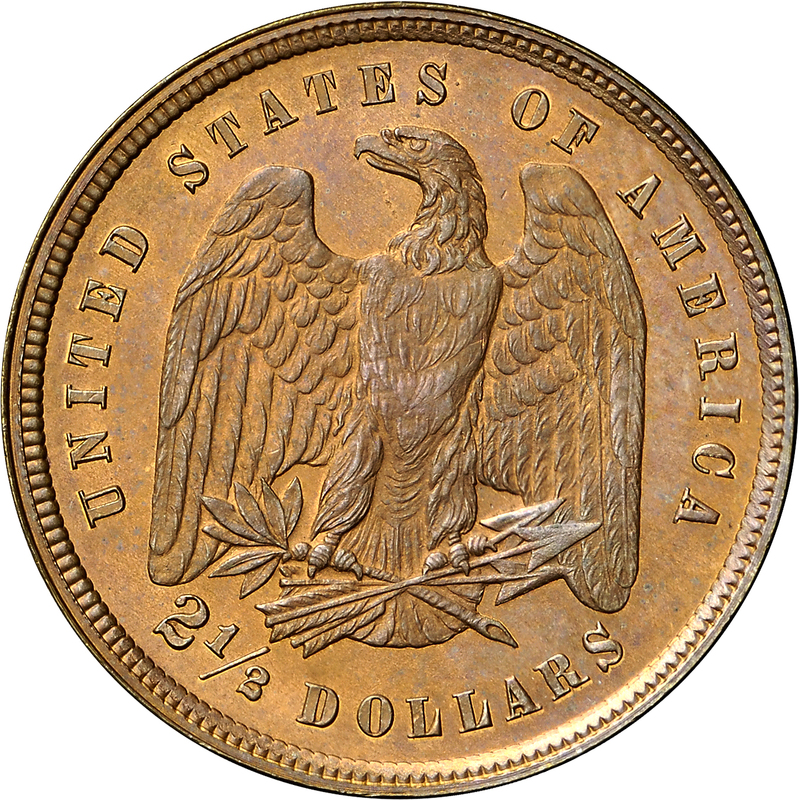 In 1878, a number of different half eagle and eagle patterns were designed with the general Liberty Head obverse and eagle reverse. 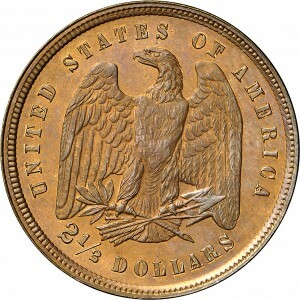 Quarter eagles, however, are only known from this single design combination. Only about eight examples of this variety exist, with three of these in the Smithsonian Institution and another a part of the Byron Reed Collection in Omaha. Purchased from Lee F. Hewitt, April 17, 1972. 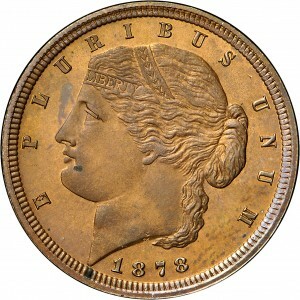 Head of Liberty to left, hair tied tightly back, two ribbons in hair, LIBERTY on the lower ribbon, olive leaves on the upper ribbon, E PLURIBUS UNUM around, date below. UNITED STATES OF AMERICA 2 1/2 DOLLARS around a standing eagle, wings slightly spread, arrows in left talons, olive branch in right talons. "Was listed as Patt 200."